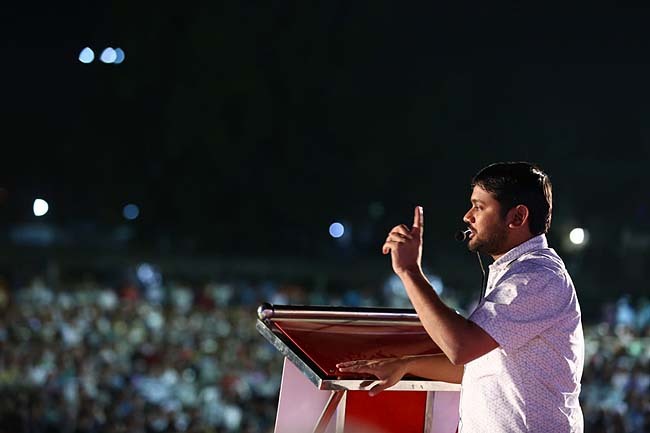 New Delhi, Feb 6:A Delhi court on Wednesday told the Delhi Government not to sit on the file seeking sanction to proceed in a case of sedition against former JNU student leaders Kanhaiya Kumar and nine others. Chief Metropolitan Magistrate Deepak Sherawat listed the matter for further hearing on February 28. The court asked Delhi Police to inform the Delhi government to expedite the file movement. The court's remarks came after Delhi Police said that sanction to prosecute the accused was still awaited. In the last hearing, the court pulled up the police asking why had it filed a charge-sheet in the sedition case without the sanction of the competent authority. The Delhi Police on January 14 filed a charge-sheet naming former JNU student leaders Kanhaiya Kumar, Umar Khalid, Anirban Bhattacharya and seven Kashmiri students as accused in the case. The charges were slapped under the Indian Penal Code (IPC) dealing with sedition, voluntarily causing hurt, forgery, using as genuine a forged document, punishment for unlawful assembly, unlawful assembly with common object, rioting and criminal conspiracy. Both Kumar and Khalid have questioned the filing of the chargesheet, saying it was "politically motivated" and a "diversionary ploy" by the Modi government ahead of the general elections.